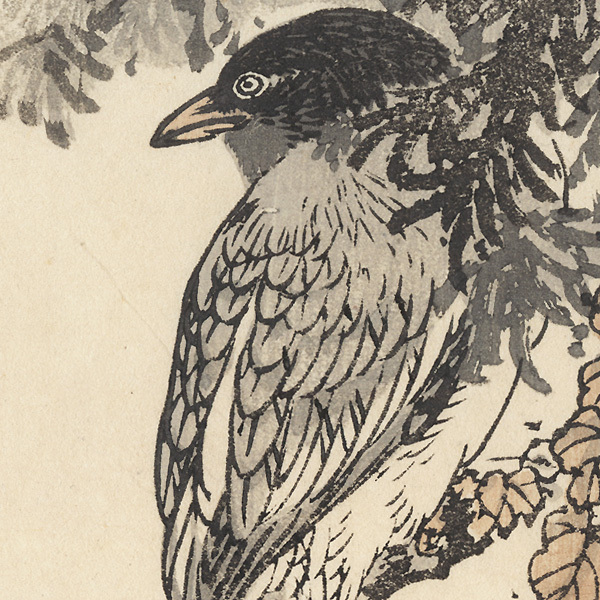 Bairei's Album of One Hundred Birds - Kono Bairei's wonderful series "Bairei's Album of One Hundred Birds," was published in three volumes in 1881, with a supplement featuring new designs following in 1884, also in three volumes. These lovely designs feature birds in their natural habitats, among trees, flowers, and plants, in a variety of seasons. The prints are primarily in black and gray with a few accents of soft, warm colors. 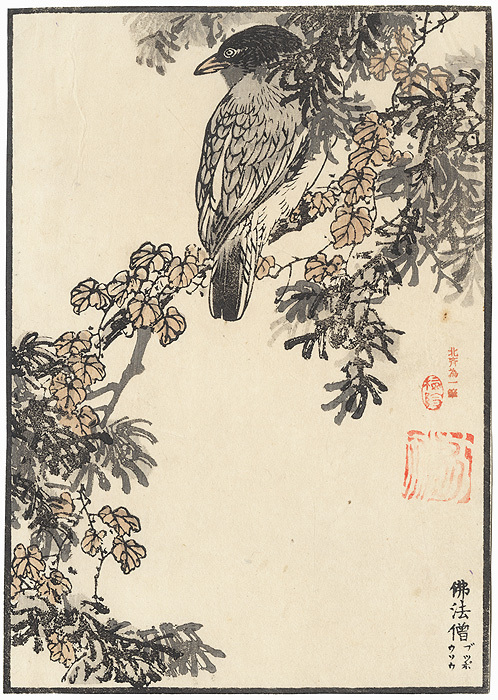 Carefully observed and drawn with fine calligraphic line work, these prints are an excellent example of Bairei's kacho-e (bird and flower prints). 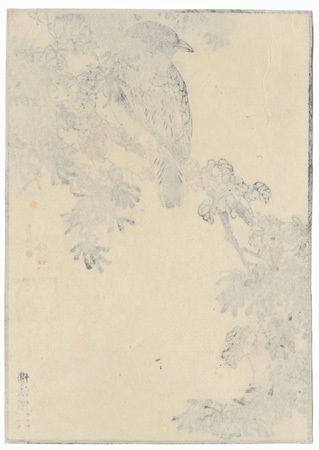 These prints have additional seals, and text that reads "Kobayashi Kiyochika," who was a Meiji era artist, but we do not know when they may have been applied or why. Image Size - 8 1/4" x 5 3/4"
Condition - This print with excellent detail as shown. Slight toning. Some prints have a few small spots or a few creases. Please see photos for details. Generally in good condition overall.